Your Kelowna Chamber of Commerce is pleased to present well known entrepreneur, philanthropist, Okanagan business owner and "Dragon Emeritus", W. Brett Wilson at their Annual General Meeting. With the ownership of Global Fitness, PrairieWest Centre and several other large land holdings, Brett is heavily vested in the Okanagan. share the three pillars to success we should all start to study today! Don't miss opportunity to hear from and meet one of Canada's most successful business people. (Tickets must be purchased in advance). Purchase Deadline: Tickets must be purchased before 4 pm on Apr.1, 2015. Tickets not claimed within 5 minutes of posted program starting time, can be resold. Cancellation Policy: Cancellations must be received 3 business days prior to the event -- no refunds after that. 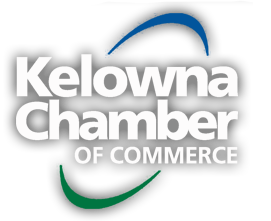 The Kelowna Chamber of Commerce acts as a single powerful voice for their 1200 members and their 25,000 plus employees to promote local business interests. The Chamber provides a cohesive business network for its members to expand their business contacts, value-added benefits, programs, and services aimed at improving the bottom line of Chamber members. Their mission is to foster a positive business environment by providing members with leadership, advocacy and services of value. W. Brett Wilson: well known for his role as the lead deal-making Dragon for three seasons on the Gemini Award-winning CBC television show, Dragons' Den - thus the term coined for ex-Dragons - Dragon Emeritus. He is Chairman of Canoe Financial, a privately owned investment management firm and Chairman of his wholly owned Prairie Merchant Corporation, a private merchant bank focused on business opportunities in the energy, agriculture, real estate, sports, and entertainment industries. In 1993, he co-founded FirstEnergy Capital Corp, the leading focused brokerage firm providing investment-banking services to Canada's energy sector. He has been investing extensively in real estate projects in and around Kelowna for the last six years including one of Canada's largest fitness complexes - Global Fitness & Racquet Centre on Harvey and most recentlyPraireWest Centre, home to the new Fabricland on Hwy 97.